My girls and I are total Disney fanatics. We live in Central California and make the trek to Disneyland at least once a year. I usually make us matching shirts for the trip, but this time I made us each a different shirt. I love the classic Minnie and Mickey theme. So I made the shirt below for myself. I found the most amazingly soft shirts at Hobby Lobby. They are a little bit more than their standard shirts but definitely worth the price. They are a jersey blend not 100% cotton. They are $8.99 but their shirts are always 30% off. In my opinion, they are a steal at $6.00. 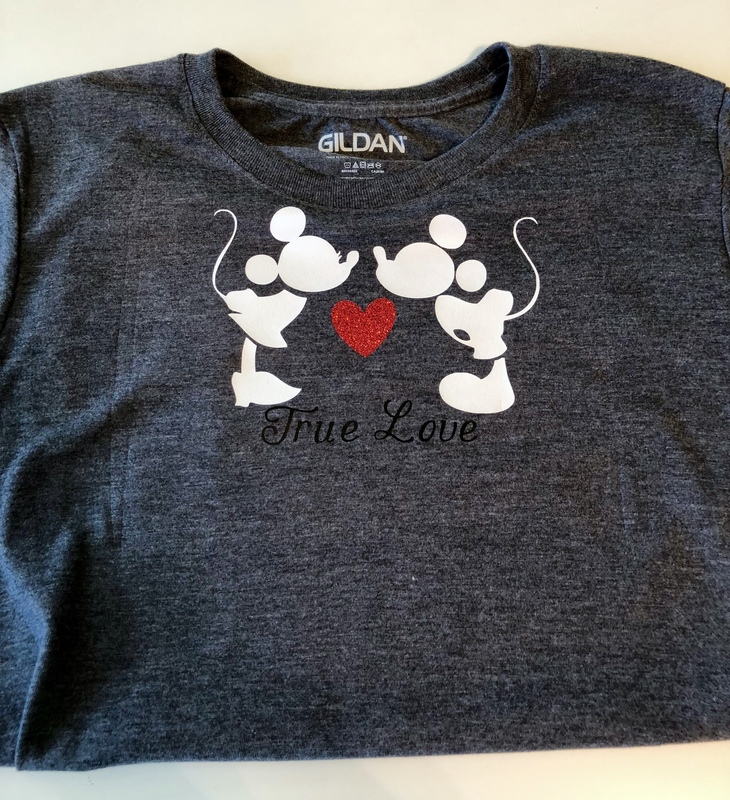 Cricut Design Space has many Disney images you can purchase. I found this particular image on Google since it is a silhouette it was very simple to upload into Design Space and save it as a cut file. The heart is just the basic heart image free in the shapes section of Design Space. I generally use Cricut vinyl and stock up whenever Michaels or Joann run it on sale. 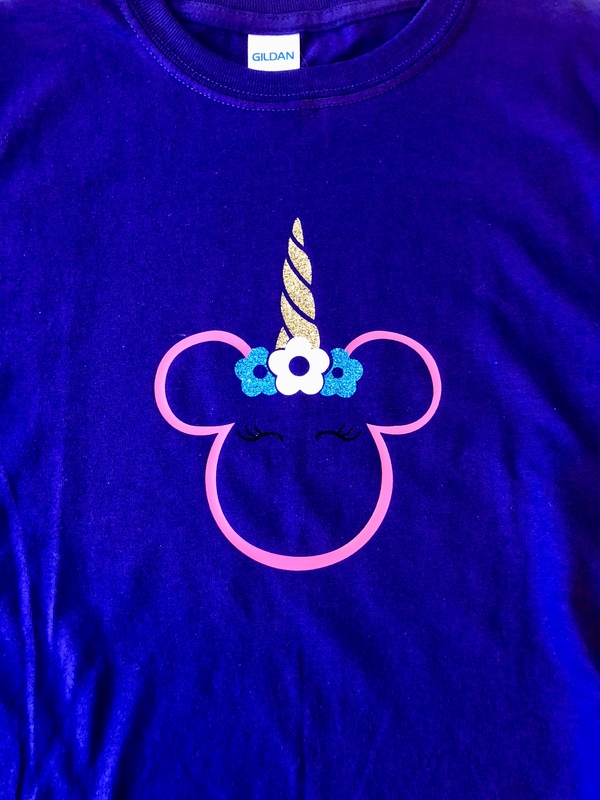 It just so happened that when I was making this shirt, neither store had Cricut accessories on sale, so I tried Siser Easyweed HTV. I was a little skeptical, as I had always used Cricut HTV. Siser is sold at Michaels and it is available on Amazon. Siser certainly lived up to its name, it was definitely easy to weed. The Mickey and Minnie shirt didn’t have any complicated weeding, but the next shirt sure did. The Lilo and Stitch had a lot of delicate details that needed to be weeded. Lilo’s face and hands were particularly difficult to weed. This project was by far the most detailed I have ever done. The Siser HTV weeded like a dream. 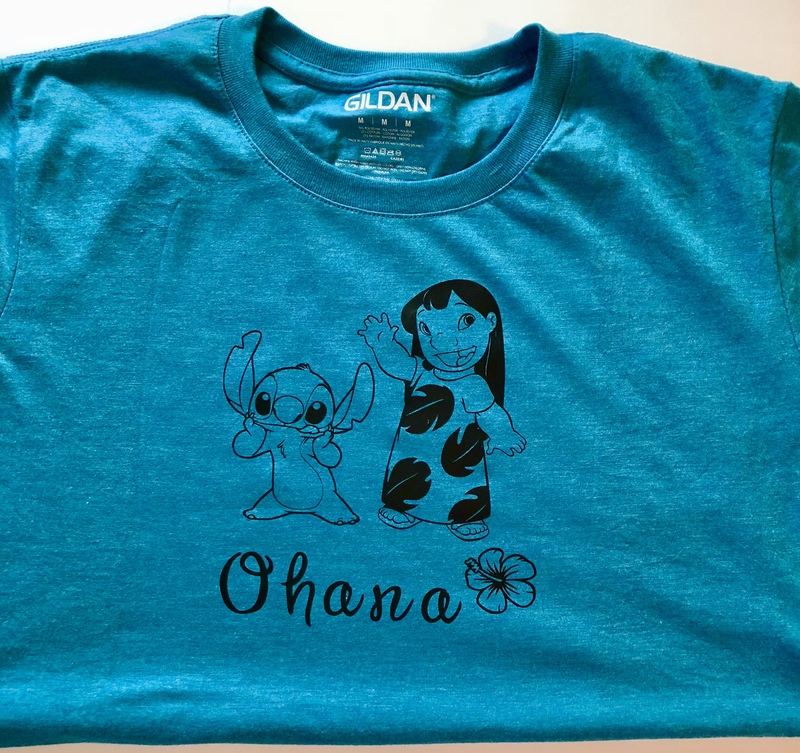 I had my heart set on making a Lilo and Stitch shirt for my daughter, but Cricut does not have any Lilo and Stitch among their Disney cartridges. 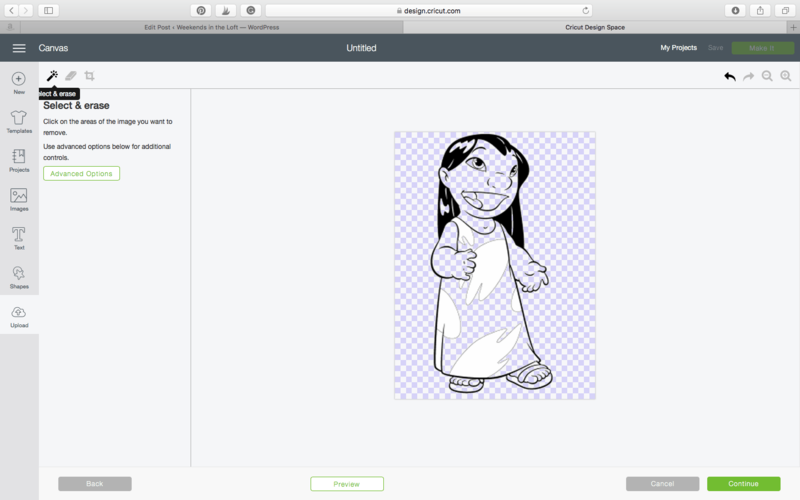 So I Googled Lilo and Stitch coloring pages. Coloring pages with their heavy black lines and white spaces are so easy to upload and save as cut images in Design Space. 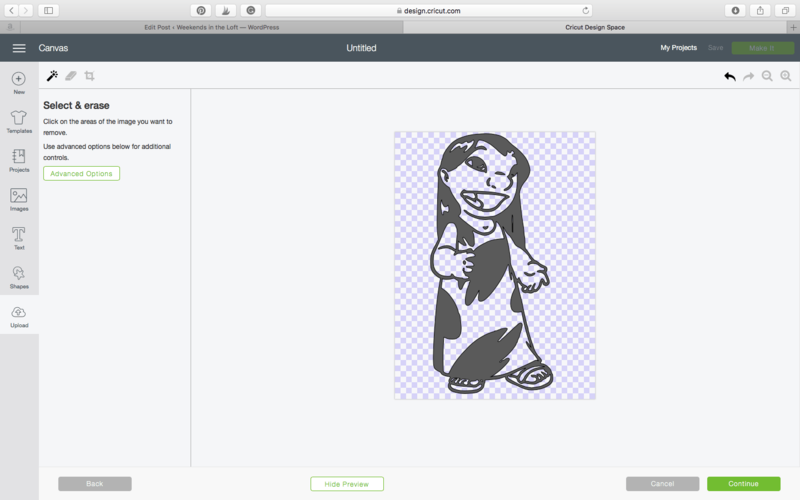 Just find your desired image and save it as a JPG to the computer and upload it to design space. 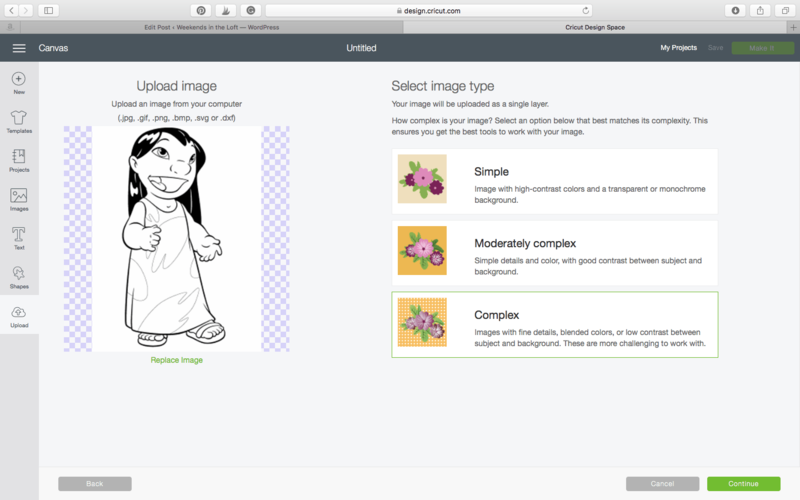 When I upload the image into Design Space, I always select complex image. Then just use the little magic wand to click on all the white or negative space in the image. Once you think you have all the negative space selected, select preview to make sure the image will look the way you want it to. Your image is ready to save as a cut file. Click continue then save as a cut file. 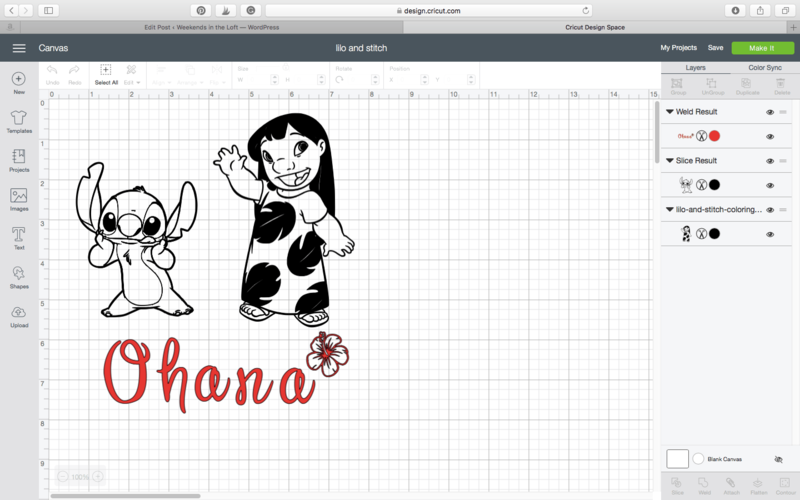 This is what my final project looked like (note I used a different image of Lilo in my shirt project). This project took a long time for my Cricut Explore to cut. Listening to the machine make all the detailed cuts, I started to panic. I figured there was no way I was going to be able to weed all those intricate cuts. Thankfully, it was not as hard as I feared. My other daughter currently has a love for unicorns. 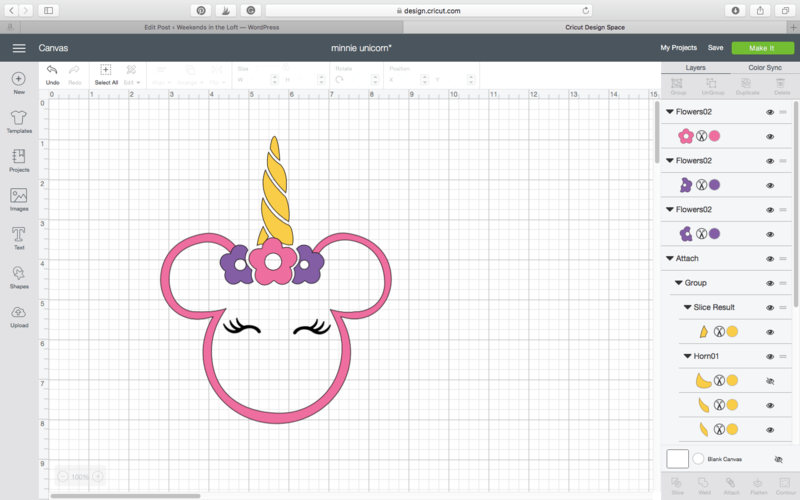 A quick search of Pinterest will tell you nearly everyone is obsessed with unicorns right now. I wanted to combine her love of unicorns with her love of Disney. 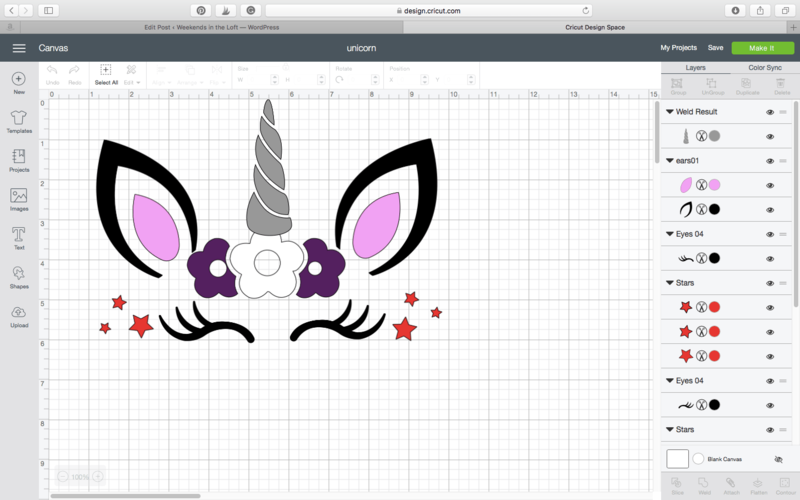 I purchased the unicorn cut file from Etsy. The original file looks like this. I combined it with Minnie icon head from Design Space to create this image. My 6-year-old was quite pleased with the final product. I wish I would have put the eyes lower so they were farther apart, but my daughter was quite pleased. I am happy to say the shirts were a hit! We all enjoyed showing our unique Disney spirit at the Happiest Place on Earth.